Applications have been made for planning permission and listed building consent for work at 19 Strathearn Road. 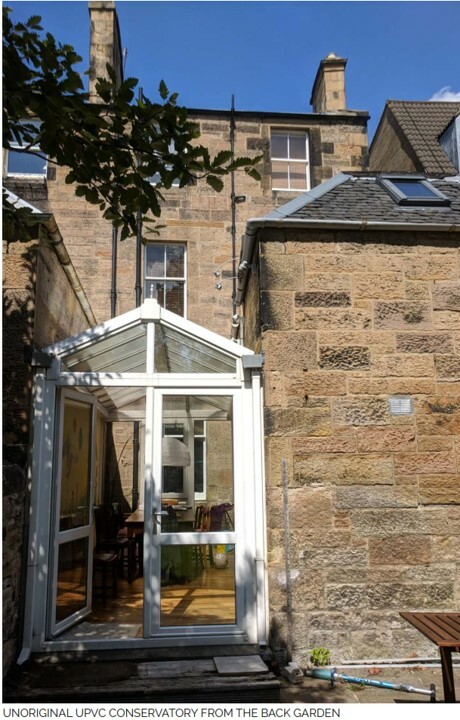 The work includes the removal of a uPVC conservatory at the rear and its replacement with a single storey extension to form a dining area. This would have a roof terrace on top, accessed from a new study area built at mezzanine level over the kitchen. 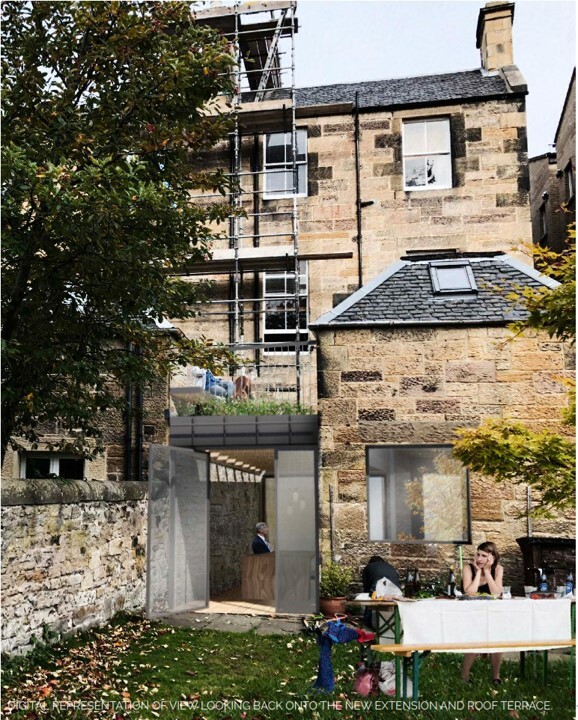 The existing rear elevation is shown here and this is a visualisation of the proposed rear elevation showing the roof terrace. The applications close for comment on 28 December 2018. We e-mailed Grange Association members in Strathearn Road, and others with postcodes EH9 2A_, on 7 December to advise them of this application. The proposals appear to be reasonable in principle, seeking to provide for modern living arrangements in this interesting yet constrained site footprint. However, the applications are lacking in detail in a number of areas and we have submitted this commentary requesting that the applicants be asked to provide clarification. Three of the drawings have been updated on 6 February 2019 to clarify the masonry partition between the kitchen and the new dining area. The design statement has also been updated. None of our requests for clarification and further specification have been addressed. The applications were approved on 27 February 2019. The decision notices include the constraint: "This permission does not include consent to paint the windows on the building dark green. A separate application will be required."